Little Lamb's Perfect Day. Enjoy story time together. 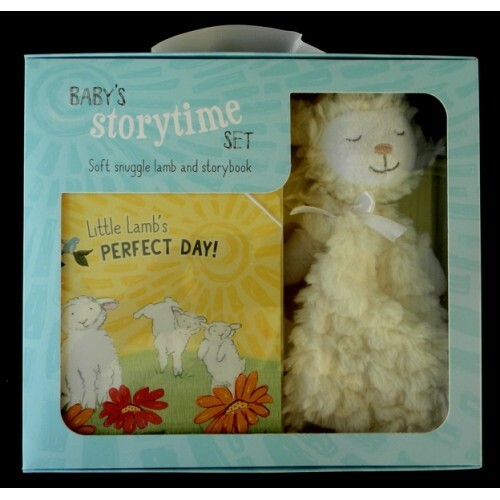 Set Includes: an adorable, soft snuggle toy for your little one to cuddle, while reading Little Lamb's Story. Filled with colorful illustrations, this sturdy board book will stimulate your child's imagintion. 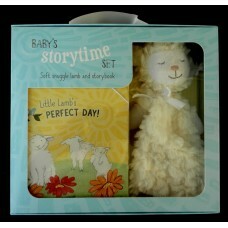 This perfect little set will be enjoyed by both reader and child over and over again.